I’m sharing about our home renovations this week, and what I’m doing to use this process to achieve maximum decluttering impact! There’s nothing like moving every single item out of almost every single room to give you clutter-related heart palpitations! Renovations = maybe the word I was trying to recall . . .
warbyparker.com/clean: Go to warbyparker.com/clean to order your free Home Try-On’s today! Here’s the post on Instagram I mentioned. Help us pick Hubby’s new glasses! Maybe you can tell from my face which ones I like? Read Newer Post Where to Put Clothes that Are Worn but Not Dirty? Thanks for this podcast. I was really interested in this topic, because in the spring, we will be moving into a much smaller place, so a forced declutter is in our near future. We’ve been prepping for years. Started our declutter three years ago in our 1500 square foot 3 bedroom house (with garage and full, full basement), and decluttered til it was obvious we didn’t need that much room. So we sold the place a year ago and are now in a 1200 SF 2-bed apartment. With no storage to speak of and yet we don’t need any. Next step is a smaller 1-bed apartment 1000 miles away. We don’t want to move anything we won’t need, so have been decluttering more all thru the last year and will step up the pace in the next few months. At this step, though, the decisions seem harder, and the stakes higher. The climate will be different, the lifestyle somewhat changed. Will we need it, or won’t we is a harder question to answer. So I’ve been gathering advice and listening to voices like yours for moral support. For what it’s worth, the scatteredness you’re experiencing is something that always happens to me when my stuff is packed up in boxes. I get used to being able to find whatever I need, easily, and that’s not possible when everything is in a box. It’ll get better when you’ve finished and unpacked. I’m so happy that you love your new look! I know that I’m curious to see how awesome it looks. Good luck with moving slow, that’s such a good idea. As always, I’m inspired by you and I can’t wait to hear more. What was the name of the lady you mentioned that gave you the ideas for colors? I found you this summer. 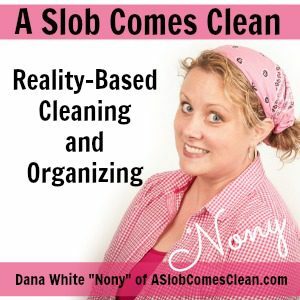 You verbalize everything I have internalized regarding clutter, decorating, that slobby feeling. I can’t tell you how grateful I am that you share your processes with everyone. Great job! You have faced your stuff head-on and won. My mom is a wonderful person and an extreme hoarder. You have wisdom to share with people all along the hoarding spectrum (and those of us with stuff issues). Hold your head up high and continue to speak the truth. Btw, your term “stuff shifting” (more descriptive) is “churning” in hoarding parlance. Just so you can speak with confidence about hoarding, I highly recommend the book “The Hoarder in You” by Dr. Robin Zasio.